This book is about mathematical modeling and proofs to show that a particular cryptosystem satisfies the security properties attributed to it: constructing practical cryptosystems for which we can argue security under plausible assumptions. The book covers many constructions for different tasks in cryptography. 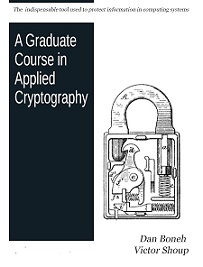 It describes dozens of cryptography algorithms, gives practical advice on how to implement them into cryptographic software, and shows how they can be used to solve security problems. Covering the latest developments in practical cryptographic techniques, this new edition shows programmers who design computer applications, networks, and storage systems how they can build security into their software and systems.